Rachel has extensive experience in helping adults to control, cut down or stop using alcohol, drugs (cannabis, meth/ice, opioids (eg. pain killers, heroin), benzodiazepines (eg. Valium), cocaine and nicotine) or other addictive/harmful behaviours, such as gambling. She also has experience in helping people to decide whether or not they are ready to make a change to their substance use. People gamble, or use alcohol or drugs for many reasons that can be initially helpful to them, but then can sometimes escalate and get to a point where it starts to create problems for them, including sometimes becoming dependent (addicted). Rachel is experienced in helping people to identify these reasons; how that links into their alcohol or drug use, and to assist them to make changes to their lives, and maximise their chances of cutting down or stopping. Rachel also enjoys working with clients to help them overcome problematic anxiety, worry, stress, panic, depression, problematic anger, or if they are having difficulty adjusting to something new/stressful in their lives. Rachel has specialised in the field of addiction and drug and alcohol problems for over 25 years. She holds a PhD in this area, and has worked for the state and federal government in this capacity, as well as working for the World Health Organisation for many years in the area of Mental Health and Substance Abuse. She is well-published in the area and has trained many health workers Australia-wide to be effective in screening and intervening with drug and alcohol use problems. Her approach is warm, non-judgemental, empathic, and often humorous. 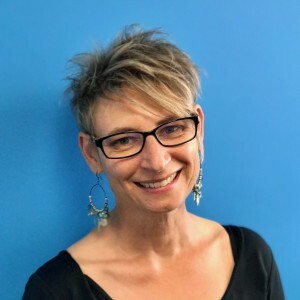 She uses evidenced-based therapies including Cognitive Behavioural Therapy, Motivational Interviewing, Mindfulness and Schema Therapy with her clients, however, she also has an understanding of the medical approach to addiction, and is able to link in with other health workers that you might need for your care. In addition, Rachel has worked in a number of different settings including medical, hospital, Primary Health, sexual health and private practice. She has good networks with other services throughout SA that provide assistance with drug and alcohol problems as well as gambling, and is able to assist you in navigating your way if you require other services as well (eg. Medical detox, commencement onto Suboxone). Rachel has been a registered psychologist since 2000 with the Psychology Board of Australia (Australian Health Practitioners Regulation Agency) is a Member of the Australian Psychological Society, is registered as an allied health provider with Medicare Australia and is an Affiliate Senior Lecturer with the University of Adelaide.